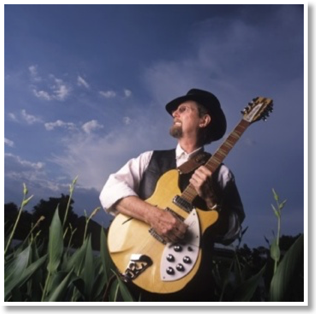 Arresting, thoughtful and timely are words many would use to describe the music and the creative work of Roger McGuinn. For more than four decades, he has performed or worked with almost every leading artist, from Bobby Darin to Bob Dylan. McGuinn loves music, but the road has not always been easy. He has spent a great deal of time touring and has experienced first hand the toils of being a musician with seemingly little support from record companies as a royalty artist. He is known as the co-founder of the band the Byrds, which had a number of major hits, such as “Turn! Turn! Turn!” , “Mr. Tambourine Man” , “Eight Miles High” , and “Sweetheart of the Rodeo” , which have been inducted into the Grammy Hall of Fame. Although the songs where hits, McGuinn says the songs weren’t money makers for him. And “in most cases a modest advance against royalties was all the money I received for my participation in these recording projects,” he says. In 1994, McGuinn’s love of music brought him to play and record traditional folk songs on his Web site Mcguinn.com. He says he felt the music otherwise would be lost and because the record industry on the whole doesn’t usually promote traditional folk songs. In 2003, he recorded a record with Joan Baez, Pete Seeger, Frank and Mary Hamilton, Odetta and others titled Treasure’s From the Folk Den, which was nominated for a Grammy in the category of “Best Traditional Folk Album,” and recorded on Appleseed Recordings. 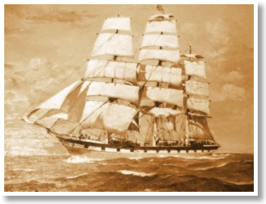 And according to McGuinn’s blog page his recent album, titled the CCD, feature “sea songs [which were] recorded [and] reflect the golden age of sail, when wooden ships commanded the waves.” McGuinn is currently on tour in Europe. Gabrielle Burns: Tell us how your CD, Treasure’s From the Folk Den came about? 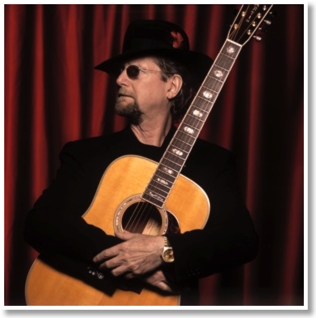 Roger McGuinn: Well about seven years ago I started putting songs up on the Internet, because I wanted to keep them going. And maybe about three years ago, I got an e-mail from a fellow, who had a label, who said he loved what I was doing on the Internet but reminded me that not everyone had access to the Internet. And he suggested that we do a CD of the best of these songs and to make it even better we should put [in] Pete Seeger, Joan Baez, Judy Collins, Odetta and Tommy Makin and sweeten it up. And these were all people I had worked with or were folk heroes of mine. And we did that, we went around to their homes and recorded them in their living rooms, it was an intimate setting, very relaxed and it was a lot of fun. It seems you enjoyed working with everyone on this album, but what was it like to work with Joan Baez and Pete Seeger? Well, both of those were wonderful, but I would say some of the favorite tracks were with Joan and Pete. And Joan was someone I had met when I was a teen-ager. We have known each other over the years and it was a real joy to work with her. Our voices blended and we did not really know that because we had not sung together except on the Rolling Thunder Review, which was a group situation, but we had never sung a duet before and I was pleasantly surprised at how well our voices blended. In fact I will be doing a few dates with her this year in concert. “Wagoner’s Lad,” is a song that she did back in the early ‘60s and I always loved that song. And I recently had put it on the Folk Den page on the Web site and thought it would be a perfect song for us to do together. I like that song. Who would you most like to work with but have not yet? With all the recording changes that have taken place in the last 40 years, and all the work you have done in the recording studio, what is new that you would like to do in the recording studio but have not yet done? Well, I think the new thing is not in the studio, because the technology has improved so much, you can actually record on a laptop. You can put the software in the laptop computer and do an entire CD, burn the CD and send it off to the manufacture, without leaving your home. So that is where the technology has gone to empower the artist. And the artist can also become the producer and it’s something I plan to do in the very near future, is record an entire CD on a laptop. As a musician, what is the most difficult thing that you are confronted with at this point? As a musician it is keeping vital, keeping interested, keeping the songs coming, keeping your chops up. And staying with it. I think the most difficult thing is the tendency to run out of ideas or get writer’s block or something like that. And so keeping it going is a challenge. Folk music tends to reflect what is occurring in a given society. In the 1960s it was the Vietnam War and civil rights. What are the issues today that are important in America? Well I think the war item is still very important and there are a lot of people who don’t see the necessity to go to war. Right now I have a track called the “Cruel War” on MP3.com, which is getting a lot of play. And that is on people’s minds right now. Well a lot of people don’t believe it’s necessary, some people do, but I would say the majority don’t think it’s necessary. Well I am really into electronics and gadgets. Well it’s on my Web site that I was inspired by the work of Andrea Segovia, mostly that he kept playing until he was in his ‘90s and the only reason he had to cancel a date at Carnegie Hall, in his ‘90s, was because he died. So I want to follow that example and keep going till I drop. Editor’s note: A longer version of this interview first ran in 2003.